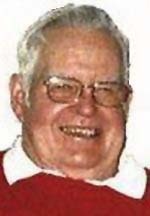 WATERLOO - Loren B. Armstrong, 76, of Waterloo, died Wednesday, February 14, 2007, at the VA Hospital in Iowa City. He was born June 1, 1930 in Decorah. He served his country in the Army during the Korean War. He retired from Rath Packing in 1992 and then opened his first business the Airliner followed by the Loading Dock Armstrongs and The Greyhound Lounge where the women loved him and the fish feared him. Survivors include his children: Michael of Hotch Kiss, CO, Tom of Iowa City, Rosanne of Austin, TX, Julie of Sante Fe, N.M., Mary Jo of Las Cruces, N.M., Chris of Minneapolis, MN, and John of Belle Plaine IA;15 grandchildren. Preceded in death by his wife Emma Jo and a daughter Kathy. Funeral Services will be held at 10:30 a.m. Saturday February 17th at Queen of Peace Catholic Church. Public visitation will be on Friday from 4 8 p.m at Hagarty-Waychoff-Grarup Funeral Service on South Street where there will be a 6:30 p.m. Rosary and a 7:00 p.m. Vigil Service. There will be no visitation at the church.